COMAL COUNTY, Texas - UPDATE: Comal County Deputy Ray Horn is expected to be laid to rest at the end of the week. A viewing for the 11-year veteran of the force is scheduled from 5-9 p.m. Thursday at Zoeller Funeral Home in New Braunfels. Horn's funeral will be held at 10 a.m. Friday at the Tree of Life Church in New Braunfels. He'll be buried at Guadalupe Valley Memorial Park. A deputy with the Comal County Sheriff’s Office has died after a crash on FM 3009, Schertz police said. The crash happened around 5:15 p.m. Thursday on FM 3009 and Dimrock. 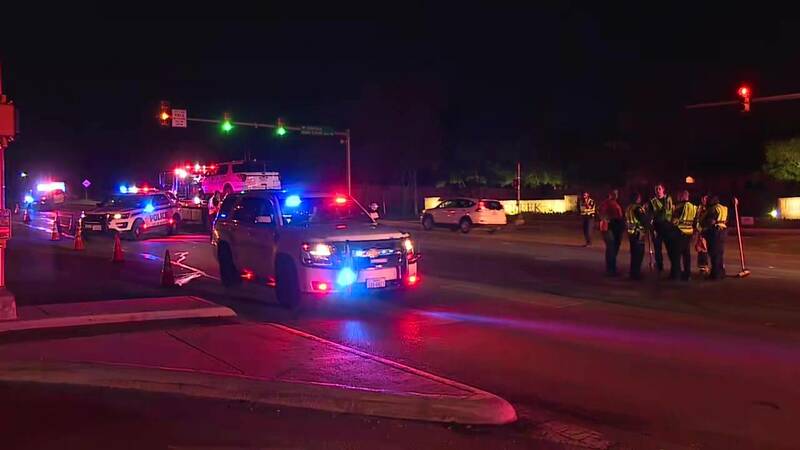 Schertz police responded to the crash, which involved three vehicles, including the deputy's. The deputy was identified as 44-year-old Ray Horn. "To lose what we considered a family member is tough on all of us," Comal County Sheriff Mark Reynolds said. Police said Horn possibly suffered a medical emergency while driving, resulting in the crash. Horn was taken to a hospital, where he was pronounced dead shortly after arrival. "I think that was one of the most difficult things last night ... to walk into the hospital and see his wife, his sister and his mother at his side," Reynolds said. Another person was taken to the hospital but is expected to be OK. A third person involved in the crash was not injured. "I can't say enough thank you's to SAPD, New Braunfels, Cibolo, San Antonio Fire Department and Schertz. Not only did they show up, but they helped transport him, That's the blue line," Reynolds said.